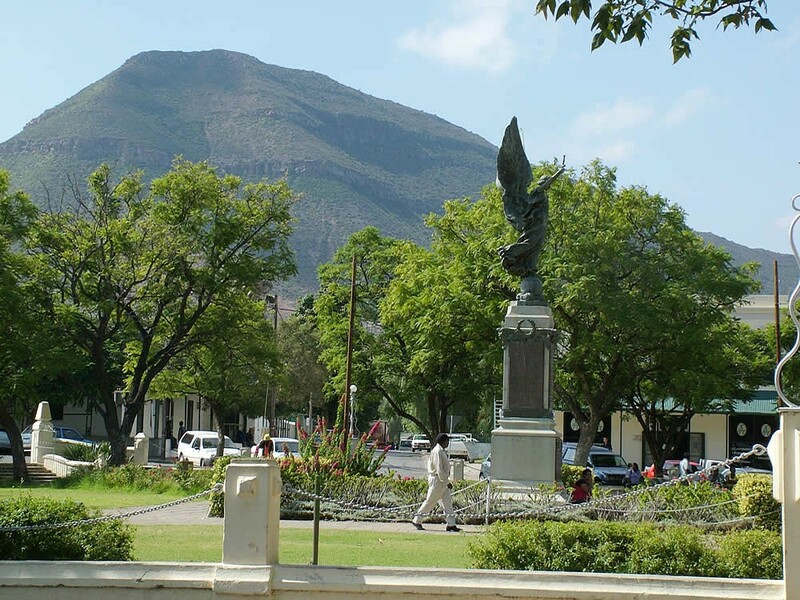 Three months after the end of the first World War a public meeting was called by the Mayor, Mr. H Urquhart, at which it was decided to erect a monument, on the most prominent site in town, in honour of the gallant Graaff-Reinet men who had lost their lives in the war. 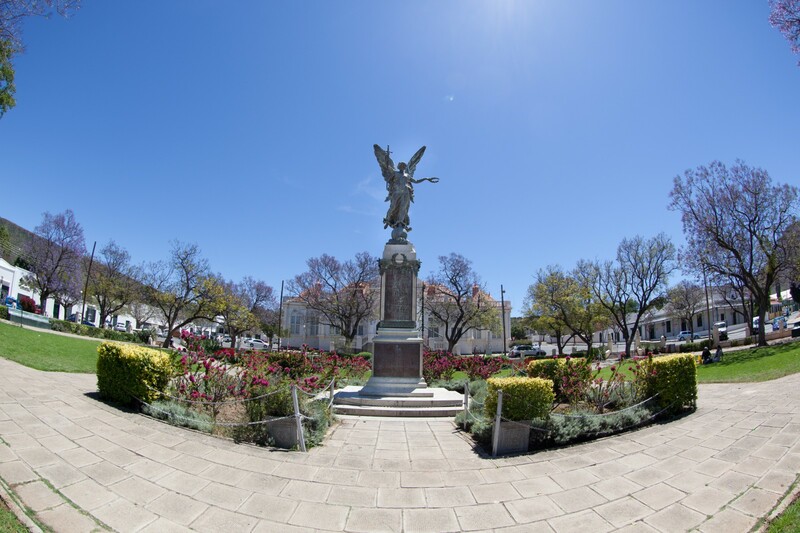 The site chosen was in front of the Town Hall in the centre of what is now known as the Mayor's Garden. Generous donations were received to meet the cost of the memorial. 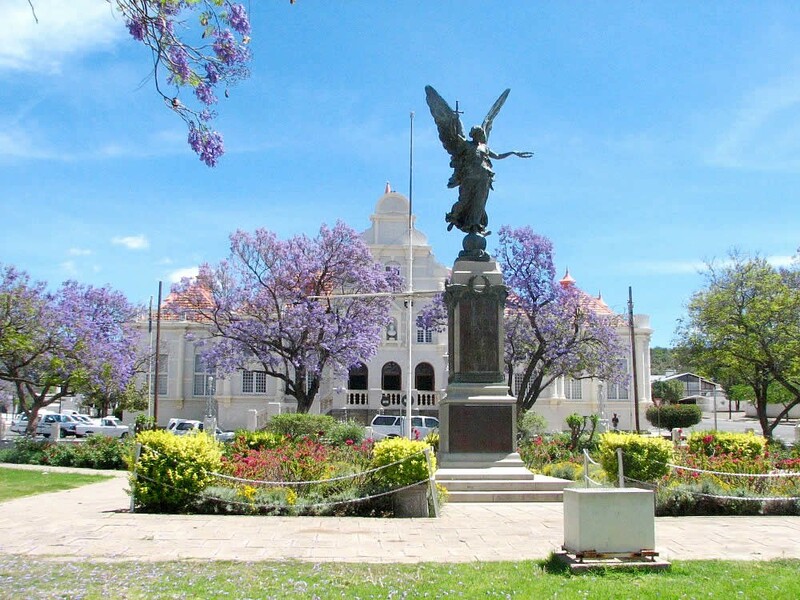 On 7 November 1923 the great bronze figure of the "victory Peace Angel", mounted on a high pedestal, was unveiled by H.R.H. Prince Arthur of Connaught.